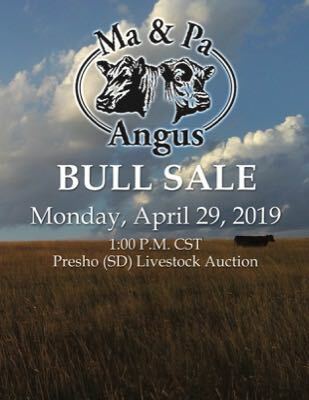 April 29, 2019 • 1 p.m.
Offering 60 registered yearling Angus bulls and 75 purebred commercial Angus heifers. There are more places to buy a bull than there are places to fill up your pickup. Thank you for taking time to stop by and consider Ma & Pa Angus. 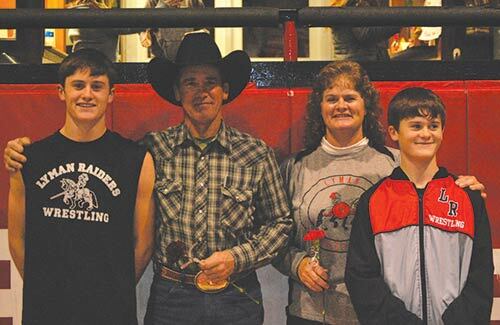 We take a no-nonsense approach to raising registered Angus cattle in a commercial cattle environment. Culling is year-round. 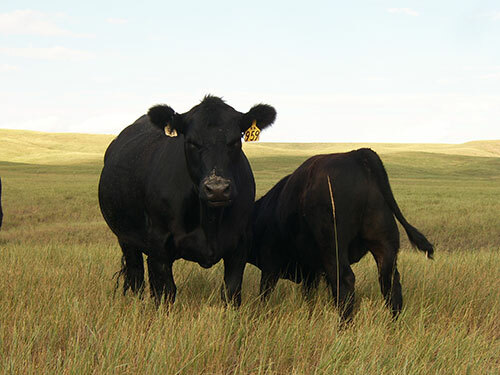 If the cows aren't pregnant in the fall, they go to town - even after just one calving season. Our cows calve in a river hills pasture and are expected to protect and nurture that calf to a lucrative weaning weight. No creep feeders allowed. © Ma & Pa Angus.